Stream our recording of Publishing Executive's June 14th webinar featuring Lisa Carmona, SVP/Chief Product Officer, PreK-12 Portfolio at McGraw-Hill Education and Brian O'Leary, Executive Director at Book Information Study Group (BISG). Helping students learn remains the core objective of education publishers, but the tools and tactics are evolving quickly. The new expectations of digital native students require publishers to enable learning materials with technology that meets the needs of The Mobile Generation. Data analytics have become nearly as important as content, supporting adaptive learning platforms and helping teachers monitor progress. The “miniaturization of learning” in the education market is becoming obvious as students need quick hits of concepts rather than long, unwieldy lessons, says Waseem Andrabi, senior director of global content services at Cenveo Publisher Services. The Cenveo team, in addition to building complete courses, has been partnering with publishers and content-centric organizations to create specific digital assets—animations, games, and interactives—that aid students in learning concepts quickly. “We are able to create and structure content for adaptive engines that provide robust personalized learning paths, feedback, and performance evaluation,” explains Andrabi, who is seeing authoring and publishing platforms becoming more mature, both off-the-shelf platforms such as Habitat and Aquafa-das, and proprietary ones such as McGraw-Hill Education’s LearnSmart and Cengage Learning’s MindTap. “We create courses and assets that are technology- and platform-agnostic. Our team of developers, subject matter experts, and instructional designers are fluent across multiple languages, disciplines, and platforms. We closely monitor market trends and situations that impact e-learning and delivery, such as the battle among Apple, Google, and Microsoft for dominance in the class-room-learning ecosystem,” adds Andrabi, whose team also helps guide publishers in the evolving landscape by paying close attention to news in the device world, such as the rise of Chromebook against tablets. Tell us a little about your publishing program. Thank you! We will be in touch within 1 business day. What types of digital products should you publish? Determining what digital products your organization needs to create can be a daunting task. We often consult with different types of publishers to help them triage digital development and production and ultimately get a return on their investment in digital content and digital product creation. The following quiz is certainly not scientific! But it can help you understand some of your options. Click the link to the right if you'd like to schedule a demonstration of the types of products we've created for journal, academic, and educational publishers. We help publishers; we can help you! Tell us a little about what you want to create. If you require immediate assistance, please give me a call. I'm a real person who actually answers the phone! Cenveo Publisher Services works with authors who specialize in elementary education, higher education, hard sciences, research, and more. Our subject matter experts and editorial teams consistently demonstrate deep understanding of the content they edit, manage, transform, and produce. "Your directions are clear and very helpful. Though we had begun to realize there was to be an 'alternate text,' we stand amazed as we had no news of this until we began to read your copy edited chapters. I am reassured, however, now knowing what the alternative might resemble and reading your excellent rewrite that will make those alternatives work seamlessly with our text. We had discussed your personal background because we were finding your notes and your suggested edits so wonderfully 'right.' We had thought you must have the same love of language and literature that we do. I could fall into a happy dance right here in my little home office reading your words and discovering that indeed you do. Here is a bit of Shakespeare from "As You Like It' that will not put you to sleep and that mirrors my joy and gratitude in reading your message this morning." Since the early nineteenth century invention of braille, the concept of making written content available to the blind or visually impaired has been a noble aspiration of civilized society. Making that concept a practical reality is another matter. Even as new, more automated, technologies arise, the challenges of accessibility remain formidable. For educational publishers, accessibility is particularly important. In the United States, schools receiving federal funding support are required to provide accessible content to any student or parent who requests it. While the first three are self-explanatory, "digital text" is a general category, encompassing any text and image descriptions that can be rendered by specialized or general-purpose digital devices. Each of these four output categories follow predictable rules and logic, there is a definable way to use a structured “master file” approach—creating the content once, and outputting as needed to as many formats as the market requires. Of course when we talk about text, we must talk about structure. 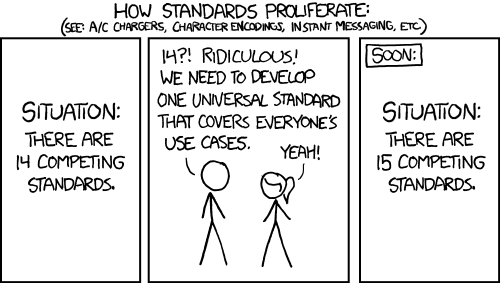 And when we talk about structure, we must talk about XML. In the context of accessibility, NIMAS is the XML-based specification that is the gateway (and the federal mandate) for K-12 and higher education content (i.e., textbooks and ancillaries). In a significant step forward for students with disabilities, the U.S. Congress adopted NIMAS as part of the Individuals with Disabilities Education Improvement Act of 2004, a reauthorization of the Individuals with Disabilities Education Act. While some may view NIMAS as a costly regulatory barrier that must be overcome simply to maintain existing business, it is also possible to view NIMAS as providing an opportunity to assume a leadership position while retooling internal workflows to leverage the benefits of XML. Done right, these benefits include improved quality, enhanced flexibility, and increased speed to market. A common example is the long description for images—a NIMAS requirement for any visual element in a book. If the published caption or call-outs in the main text (words meant to enhance a sighted person’s understanding of an image) is simply copied and pasted into the long description field, it isn’t truly meaningful for someone visually impaired. Although this certainly saves on costs, and the resulting file will be NIMAS compliant because there is something in that field, but in some cases words could have little or no utility to someone who cannot see the image clearly, or at all. Yogesh Jedhe, Business Manager at Cenveo Publisher Services, outlines the basic process of creating NIMAS file sets---“The input is often a combination of Word files, hard copy, PDFs, application files, or XML—depending on the publisher. We also receive existing metadata for the publication. Our teams leverage robust transformation technology tools to extract data from the source files, apply and edit XML as needed, and process and tag images. Finally, a team of content analysts at Cenveo spend time to make sure that the elements that require human judgment, like image descriptions, are created in a way that aligns with the true intent of the NIMAS standard. The team then uses tools to validate the resulting XML against the NIMAS schema, as well as against a series of business rules, which are designed to check the file beyond simple compliance with the NIMAS standard." The team also works with subject matter experts to make sure that image description fields are populated with alternate text that truly help a visually impaired student. Other elements, such as math equations in MathML, are captured in such a way that they accurately and effectively convey information to the visually impaired. NIMAS compliant files created by Jedhe’s group are rigorously tested and refined using a Cenveo-developed tool. 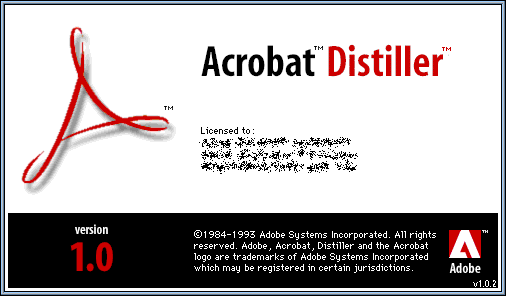 However, the object is not simply to create technically valid files, but to ensure that the resulting content will communicate information to a visually impaired student as effectively as its core counterpart does to other students. Read more by downloading our white paper on this topic. By the way, we made it accessible! You can access the white paper by clicking the link below. 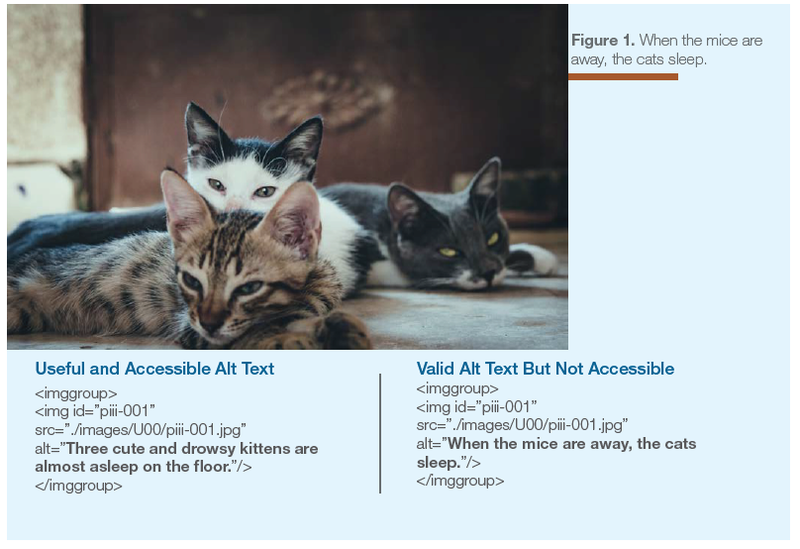 "The Secret of NIMAS: Opportunities With XML-Based Accessibility Specifications for Publishers"
Content wants to be found and consumed - but discoverability and accessibility doesn’t happen by accident. With the exponential proliferation of content and its many delivery methods, it’s more important than ever that publishers think deeply about content architecture and workflow processes that best support product strategy. Join us for this webinar as we explore content architectures and workflows that ensure content is more discoverable and accessible, whether publishing journals, books, or educational material.